People often talk about worldview when describing the philosophy that guides their lives. But how have we come by our worldviews, and what impact did Christianity have on those that are common to Western civilization? 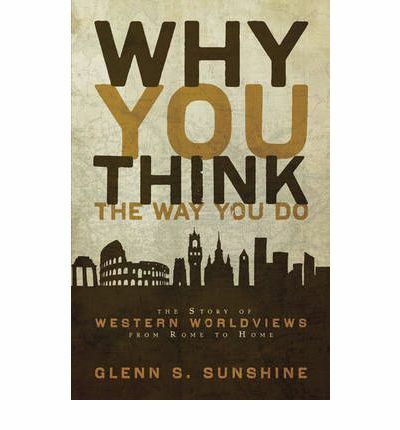 This authoritative, accessible survey traces the development of the worldviews that underpin the Western world. It demonstrates the decisive impact that the growth of Christianity had in transforming the outlook of pagan Roman culture into one that, based on biblical concepts of humanity and its relationship with God, established virtually all the positive aspects of Western civilization. The two-pronged assault in our time on the biblically based worldview by postmodern philosophy and the writings of neo-atheists has made it even more crucial that we acknowledge and defend its historical roots. Unique among books on the topic, this work discusses Western worldviews as a continuous narrative rather than as simply a catalogue of ideas, and traces the effects changes in worldview had on society. It helps readers understand their own worldviews and those of other people and helps them recognize the consequences that worldviews hold. Professors, students, and armchair historians alike will profit from this book.